Special Tot Time with RJ! RJ will be coming to Rockin' Tot Time on Saturday, December 15th from 8am-10am! Start the day of right by having fun in our Newly Renovated Park including 4 Foam Pits for your Tot to enjoy. Tot Time Pricing is always 76% Off our General Admission! 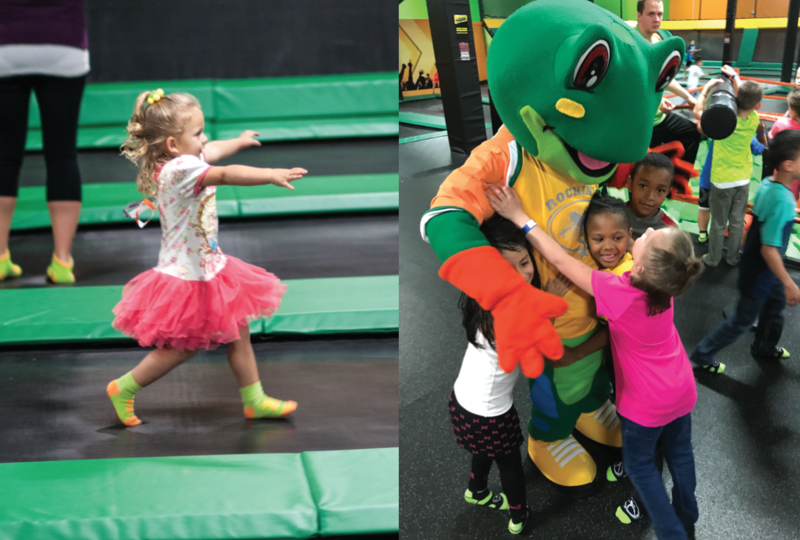 Rockin' Jump is the Ultimate Trampoline Park. Our Newly Renovated park has over 12 Attractions for you and your family to enjoy. Rockin' Tot Time is a weekly discounted program for Children 6 years old and younger and their parents. Our regular Rockin' Tot Sessions are Tuesdays 9am-11am and Saturdays 8am-10am. Tickets valid 12/15/18 during Rockin' Tot Time from 8am-10am. Rockin' Tot Ticket for $15 includes 1 Parent and 1 Tot 6 Years Old or Younger. Each Additional Tot is $5 and each Additional Parent is $10.